Update (Aug 21st, 2016): Are you interested on watching NFL through Kodi? Take a look at these 10 Kodi ADDONS to Watch NFL LIVE on your Kodi Media Center! This channel PEAR addon not only lets you watch NFL on Kodi, but also brings channels with lots of other shows and series you could watch when the season is over, or between games. The most watched TV series find a spot within its channels, and since all of them are maintained by the channel PEAR community, you will rarely find dead links or missing content. 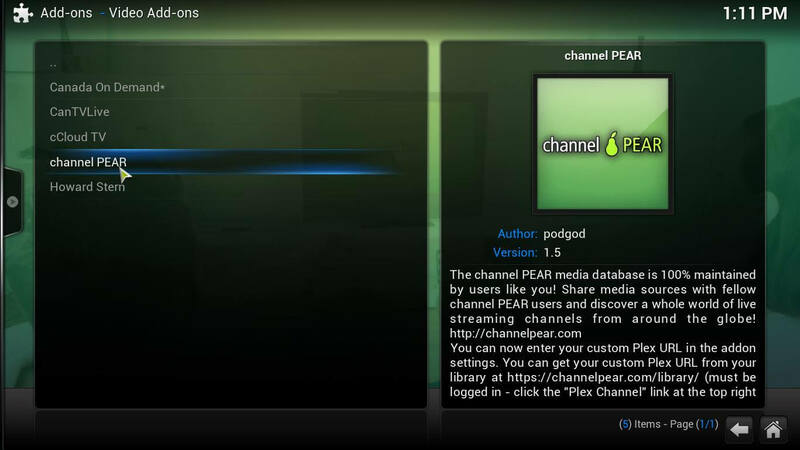 In this regard, channel PEAR is also a live TV addon for Kodi, and a very good one at that. Combine it with a wireless HTPC keyboard or a remote app for Android such as Kore, the official Kodi remote, and you will only have to worry about not to spill soda or nachos on yourself while watching the games with such a comfortable setup. You could also install other live TV addons, such as Phoenix (please refer to our guide to install Phoenix on Kodi to find out how to do it). Enough talk! I want to watch NFL on Kodi! Alright then! 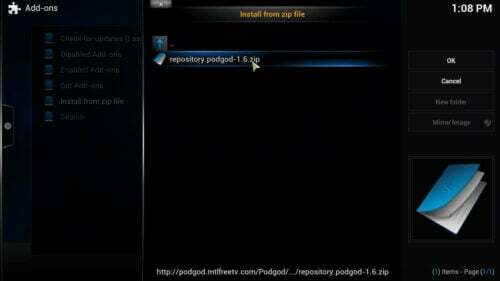 first off, you need to install the PodGod repository, in order to find channel PEAR and other addons. From Kodi main menu, go to SYSTEM -> File manager. You will be shown your sources list, and then you should double click on Add source. This will show you a dialog with two fields you need to fill. 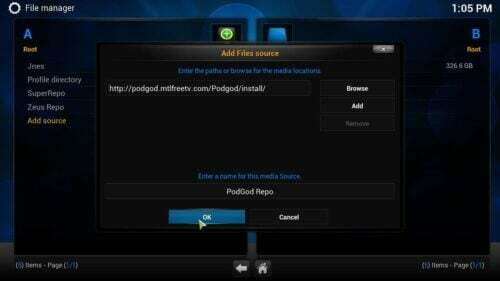 Type http://podgod.mtlfreetv.com/Podgod/install/ as path, and type PodGod Repo as the name for the media source. After that, click OK.
To watch NFL on Kodi, install the PodGod repository first. PodGod Repo should now appear on your sources list. Install the repository by going to the main menu again, but selecting SYSTEM-> Settings -> Add-ons -> Install from zip file -> PodGod Repo. You will see a dialog with the .zip file in it, so just click the only file in that menu. Select the only zip file on the PodGod Repo. This indicator tells you you've successfully installed the PodGod Repository. After that's done, head to the main menu, and then select SYSTEM-> Settings -> Add-ons -> Get addons -> podgod repo -> Video Add-ons -> channel PEAR. Select channel PEAR from the addon list to watch NFL on Kodi and tons of other content. Click it, and select the option to Install it, from the menu that appears. Wait a little, and you will see a notification like this one on the lower-right corner of your screen. Installation successful! 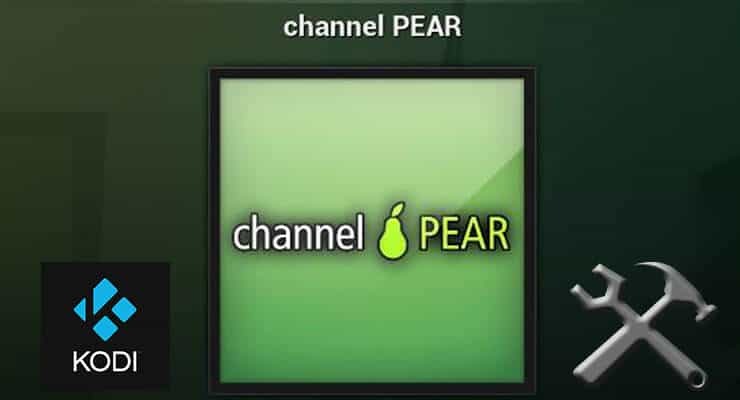 Enjoy watching your content with channel PEAR now. And that's it! With this NFL Addon XBMC / Kodi gets a wealth of content not just related to NFL streams, but also tons of series and shows you might find entertaining, and other sports you can watch from the comfort of your living room. This addon has some of the best Kodi channels to watch anything you want from live sports on Kodi to the most popular Kodi channels and shows. Check it out today, because it is completely free!